Across the world, millions of children do extremely hazardous work in harmful conditions that prevents them from getting an education and is harmful to their physical, mental, or social development. Every day, an estimated 152 million children (Global Estimates of Child Labour: Recent Trends 2012-2016, ILO) work as child labourers, in farms, fields, factories, homes, streets and battlefields. Out of these 64 million are girls and 88 million are boys. Of this total, a staggering 73 million are engaged in hazardous work, where children are likely to meet exploitative situations by nature or circumstances of work. 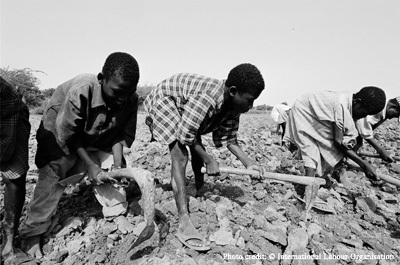 The highest number of child labourers is found in Africa. The estimates also reveal that 71% of the total number of child labourers, are also engaged in the agricultural practices across the globe. requiring them to attempt to combine school attendance with excessively long and heavy work. In its most extreme forms, child labour involves children being enslaved, separated from their families, exposed to serious hazards and illnesses and/or left to fend for themselves on the streets of large cities often at a very early age. Whether or not particular forms of ‘work’ can be called as ’child labour’ depends on the child’s age, the type and hours of work performed, the conditions under which it is performed and the objectives pursued by individual countries. The answer varies from country to country, as well as among sectors within countries. Work which, by its nature or circumstances in which it is carried out, is likely to harm the health, safety or morals of children. Given that the new ILO child labour estimates show a slowed pace of reduction in child labour, bringing down the number of child labourers from 168 million in 2014 to only 152 million in 2017, it is imperative that all stakeholders must accelerate their efforts like never before. The new ILO data also reveals that large number of 64 million girls are involve in child labour and as compare to data on child labour of boys (87.5 million) decline in child labour among girls has also been slower. This is also the case for girls in hazardous work. Moreover the ILO date further reveals that the highest number of child labourers are present in the agriculture sector, amounting to be 70% of the total number of child labourers. Africa is also said to house the maximum number of children exploited in work situations. Global March thus is not only advocating for zeroing child labour across the world, but also focusing special attention to girl child labourers and children trapped in exploitative work in agriculture. According to the Protocol to Prevent, Suppress and Punish Trafficking in Persons, Especially Women and Children (2000), child trafficking is the recruitment, transportation, transfer, harbouring or receipt of children for the purpose of exploitation. It is a violation of their rights, their well-being and denies them the opportunity to reach their full potential. 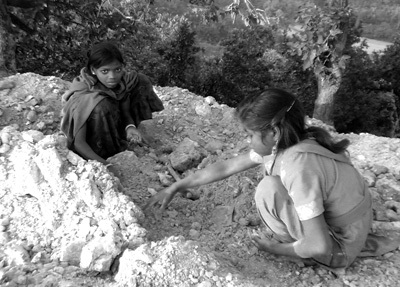 At least 1.2 million children ( ILO, 2002- Every Child Counts, New Global estimate on Child Labour) are trafficked annually for child labour and sexual exploitation. Most child labourers are in the informal economic sector, where they are not protected by laws and regulations. The worst forms of child labour are illegal and must be eradicated immediately. While recent research has yielded information on the nature of child trafficking, little is known about its magnitude. To reduce vulnerabilities that make children susceptible to trafficking and child labour, Global March assists governments in strengthening laws, policies and services including legislative review and reforms, establishing minimum labour standards, and supporting access to education. 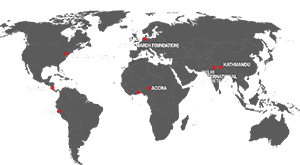 Global March also works with communities to change norms and practices that exacerbate children’s vulnerabilities to trafficking and entering into child labour right from its source- in the villages at the grass root level.